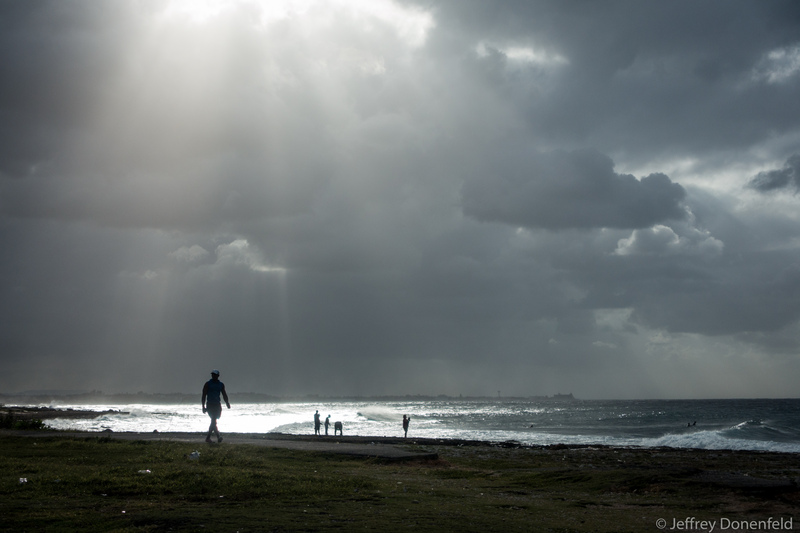 The beach outside of Miramar, Cuba is beautiful - people surf, and enjoy the late afternoon sun. From Wikipedia: Many embassies, including the landmark Russian embassy, are located in Miramar - in particular on Quinta Avenida (Fifth Avenue) before called Avenida de las Américas (America avenue). Prior to the Revolution, the neighborhood was home to many of Havana's upscale residents. There are many large houses and mansions here. This district and the Country Club (Cubanacán) were the most glamorous spaces in the Havana of the 50s. There are also some of Havana's more modern hotels such as Hotel Melia Habana, Oasis Panorama Hotel and Occidental Miramar, beaches and private rental houses (known as casas particulares). Also located here is the International School of Havana. In the late 1990s and 2000s, several office blocks have been built in a complex called Centro de Negocios Miramar - the "Miramar Trade Center".